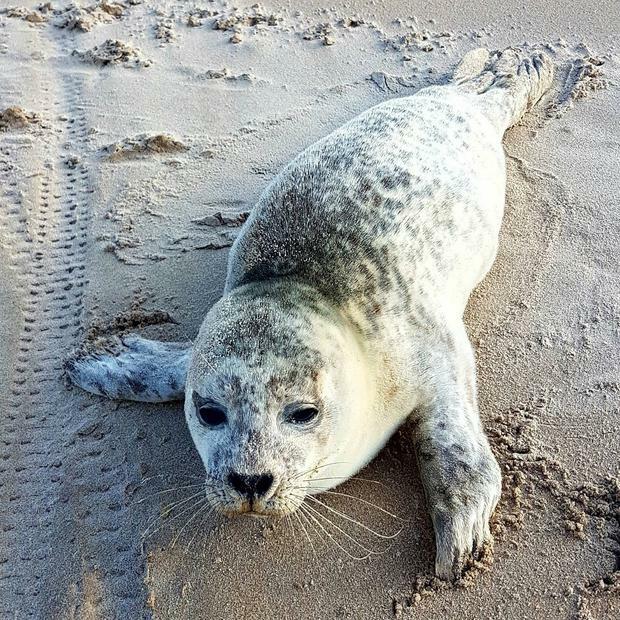 When Aaron McLoughlin and his father-in-law David Lamont came across a stranded young seal on a nearby beach, there's only one thing they could do. Aaron was spending time on a Co Down beach with his wife Gemma and her family, when they came across the scared animal, which had wandered a distance from the water. "We had no signal or Internet on our phones and there was no one in sight," Aaron said. "It was clearly stuck and we didn't want to leave it lying there." Not knowing what else to do, David and Aaron wrapped some fabric under the young seal and dragged it back to the water, where it swam away. Have you a video you'd like to share with us? Send it to video@independent.ie.